Laser skin tightening is a quick and efficient facial rejuvenation treatment that provides dramatic results, reducing the appearance of wrinkles and creating a more youthful look. 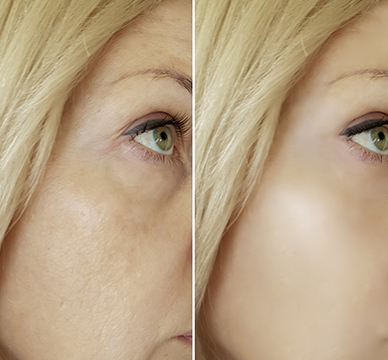 Using the Alma Harmony skin tightening hand piece, our medical professionals are able to get rid of unwanted wrinkles and tighten up loose skin that is common with aging. This minimally invasive, non-surgical treatment efficiently reduces the appearance of wrinkles and sagging skin, which is its most popular use. We often get people in our clinic asking about which laser treatments are best for wrinkles; skin tightening by way of laser is your best option. Lasers are a wonderful option for people wanting to reduce facial lines and get back their youthful appearance. We make it a point to only use the best lasers in the business - Candela - in order to ensure you are more than satisfied with the results. In order to see the best results, we recommend treating an entire area of damage or wrinkles. This is why the Alma Harmony hand piece is so effective. The laser can penetrate deep into the skin, ensuring that even the deepest of wrinkles disappear. It is particularly effective around the neck, eyes, and face, but can penetrate deep into the dermal layer on other parts of the body as well. Skin tightening is an effective process that shrinks existing collagen and works to stimulate the cells in order to create fresh collagen. In most cases we recommend laser skin tightening for the neck and face; however, it can tighten any facial or body skin. When you come into Euro Image Med Spa for skin tightening, we will use the Alma Harmony laser to heat the collagen under the skin’s surface, which causes it to tighten or contract. Results are immediate and there is no downtime required, which is just another reason why this is such a popular procedure. Over the next several months, most patients experience continued tightening. We recommend patients come back for two or three additional treatments over the course of the next few months in order to ensure optimal results. Our laser skin tightening treatment provides individuals with a more youthful appearance in as few as three sessions. If you are looking for dramatic results in a short amount of time, please contact Euro Image Med Spa today and schedule an appointment. Prior to coming into our clinic for skin tightening, you will be asked to remove all makeup, oils, sunscreens, moisturizers, and any other substances that may be on your skin. The best results are patients with clean skin. In most cases sessions last about 30 minutes to an hour, depending on the size and area that is being treated. 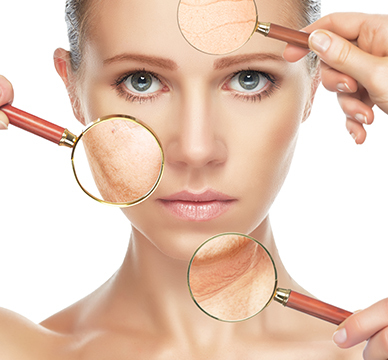 For more information or to schedule a laser skin tightening appointment, give us a call today.